Interior decorating isn’t just about making your home look beautiful: it’s about creating a space that gives you a sense of relaxation, organization and comfort. Interior design is about finding the best elements, from the color theme, lighting and decorations, and blending them in a perfect harmony that positively influences your mood, productivity, attitude and energy levels. Trends, no matter the type, all have two things in common. One, they change. And two, they often reappear. And, interior design trends are no exception. This golden alloy of copper and zinc, which has long defined the existence and evolution of various civilizations across the world, is once again making its way into homes. 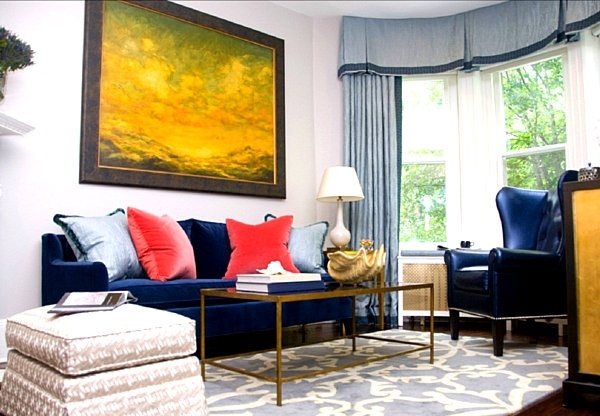 Shades from burnished golds to bright yellows are gilding furniture, lamps, frames and art pieces. Gold blends beautifully with just about any color palette and lighting scheme, so it is easy to see why home designers are turning to brass to accent interior spaces. Soft and light beiges complemented with dark browns make for a simple, yet striking color theme that you can never really go wrong with. Since this palette combines two neutral tones, it’s easy to execute without going to too much thought. The natural tones of these two colors work both with traditional and modern home designs. 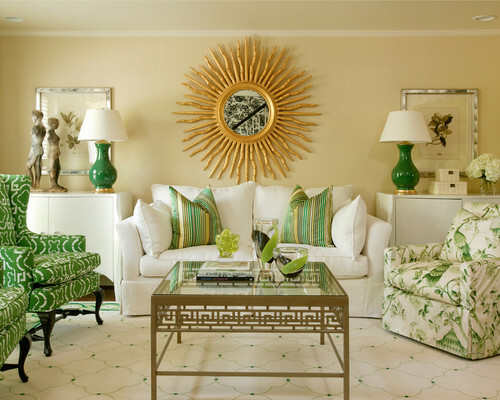 This trend which once dominated the 70s has made its comeback: soft greens offset by gold accents. The trend represents a literal interpretation of the term “going green” and is said to suggest peace, balance, calmness and tranquility,. Additionally, with green being named Pantone Color of 2017, it’s a popular choice among homeowners today. Nothing screams chic and modern like the ageless, vintage blend of the two colors on the far ends of the spectrum. 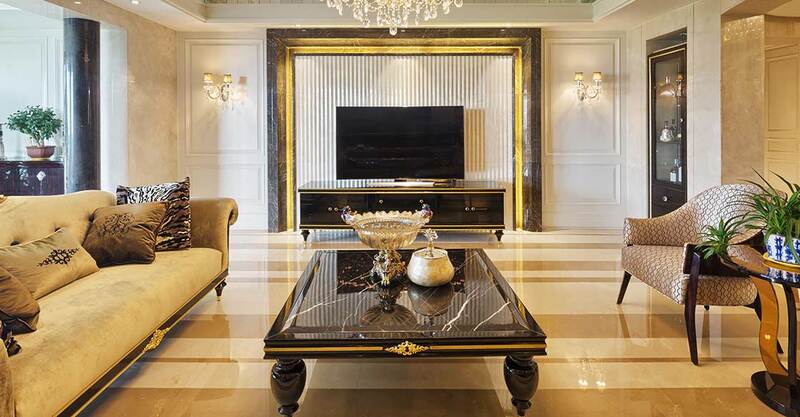 This theme can bring a level of sophistication and elegance to a space. The simplicity of this theme has ensured that has endured and will continue to endure even as other trends come and go. Orange, being a blend of yellow and red is said to, therefore, have the combined psychological characteristics of its constituent colors which are fun, joy, happiness, vibrancy and optimism. From using as a dominant theme or as an accent to a more neutral theme, there are myriad ways in which interior designers are incorporating reds and oranges. In yet another acknowledgement of nature, jeweled tones associated with natural gemstones like amethyst and emerald green are in. Neutral tones of browns and grays accented with jewel tones can give your rooms a touch of muted yet inimitable flair and sophistication. Whether it’s in furniture accents, throw pillow covers, kitchen tile backsplashes or papering an entire wall, geometric patterns are in. From simple duotone patterns to multi-color mosaics, geometric patterns straddle the line between traditional and modern design. Today’s budget conscious homeowners are turning to long-lasting, yet imitative alternatives to traditional home design materials like wood and marble. For instance, there’s a preference for faux wood which is less susceptible to rot and breakage than traditional wood, or engineered quartz which is a durable alternative to Carrara marble. In a world that’s become increasingly about making things flatter and compact, interior designers are seeking to stimulate and restore the tactile joys of touch through texture. From pleating and folding in fabrics like velvet and cotton to rough leather upholstery, texture is permeating home spaces. 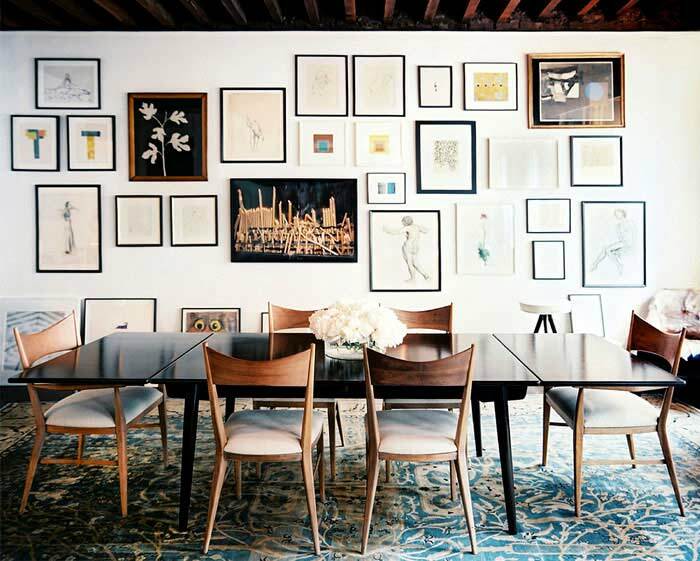 Gallery walls are an ideal way to accent a blank expanse of wall. Creating a mosaic of picture frames containing anything from family pictures to abstract art is back in style: probably owing to the fact that it lends itself to just about any décor style: antique, classic or modern. Do you have any interior design trends that you are particularly excited to work with? Tell us in the comments.